The following passage is reproduced from The History and Antiquities of the Newport Hundreds by Olver Ratliffe, 1900. This school is now incorporated with the National School. The property comprised the two houses that stand on the London side of the present National Schools, and the site of the schools, together with land at the rear that extended back to Wolverton Lane, now known as Russel Street, and four leys of land on the Wolverton side of the lane. 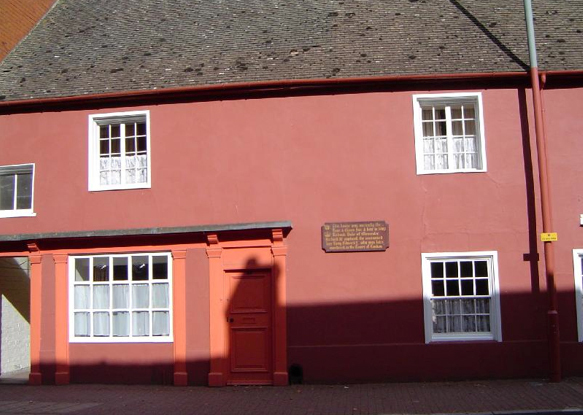 He also left five tenements on the East side of Stony Stratford, near the Queen’s Cross, for the poor. These have vanished, but they were probably the predecessors of the four small houses adjoining the gas works. These were known as the ” Free Houses.” Tradition says that they were damaged by fire, and they were repaired by someone who took the rents (the feoffees having no funds to pay him), and in time they became regarded as his property.